Chocolate and circuses are the legacy of the retired director of the Minnesota Historical Society, Nina Archabal. It is at best, a mixed legacy, one that present and future generations may regret. Past generations, the ones who founded the Minnesota Historical Society would regret it too, because it is so different from the purposes they expressed in founding the institution. Earlier this year in the summer I did my best to try to convince people that the Minnesota Historical Society was capable of dealing with serious historical topics, that it was changing because its director of many years was retiring, and that the agency could handle a tragic subject like the indelible mark left on the state by the events of 1862. A few days later I received in the mail the announcement of the new “blockbuster” exhibit, on the subject of chocolate. I am a big fan of chocolate, but what bothers me about the exhibit is how little it has to do with the important mission of the Historical Society to preserve and interpret the history of this place, of Minnesota. There may be “chocolate stories” to tell about Minnesota, but this eight-year-old exhibit from the Field Museum in Chicago does not tell them. The Minnesota Historical Society is not a history organization that happens to be located in Minnesota, it is an organization founded and dedicated to tell the history of Minnesota. The Minnesota Historical Society is not the equivalent of the Minnesota Orchestra, an orchestra that just happens to be located in Minnesota but does not focus on Minnesota music. For years Nina Archabal led the Minnesota Historical Society to embrace the mission that history was not as boring as it seemed–at least to people who were bored by history, or to people who did not consider the history of Minnesota to be important enough to bother about. For Nina Archabal history was entertainment, and the subject of the entertainment did not matter much as long as it was vaguely related to history and drew some crowds. What was missing was a sense of the importance of the history of this place and the social role that preserving and interpreting Minnesota’s history could serve in Minnesota. This became a particular problem at times when there were budget deficits. There is nothing wrong with using the tools of entertainment to draw people into rich Minnesota stories. But when entertainment is used for its own sake or to tell Minnesotans about the Mayans and their chocolate, it does nothing more than convince people that rich stories can be found anywhere but in Minnesota. If the Minnesota Historical Society was merely an institution geared to provide entertainment why would it matter if its budget were cut in times economic woes, when entertainment could be dispensed with for awhile? The answer is that the historical society can have a much larger and much more important role to play in Minnesota, as the keeper of historical records, the site of Minnesota’s state-mandated historical library, the interpreter of and educator about Minnesota’s rich history as a state. What does chocolate do to further that role? The essential social role of the Minnesota Historical Society is one that the founders of the institution had in mind when they created it in 1849, before Minnesota was a state. It is a role that that the many talented and dedicated members of the staff of the historical society continue to carry out to the best of their ability, but it is that role that Nina Archabal shortchanged and frequently disrespected. I hope that the new director of the society, to be selected soon, will have a different point of view. Chocolate is a $16 billion-dollar-a-year industry in the United States with Americans eating about 12 pounds per person annually, according to the National Confectioners Association. But chocolate is much more than a sweet treat associated with luxury and romance. Its story begins in the rainforest of Central and South America where the ancient Maya harvested the precious cacao seed to use as money and made a drink out of the grounds. Explore the relationship between human culture and this rainforest treasure in “Chocolate,” at the Minnesota History Center from Oct. 2, 2010, to Jan. 2, 2011. The exhibit introduces visitors to the plant, products, history and culture of chocolate. Learn about the cacao tree and its rainforest environment; chocolate in the Maya and Aztec cultures; how chocolate came to Europe, its history there, and how technology changed it from a luxury to a mass-produced snack food; and how chocolate is grown, processed, advertised, consumed, and traded on the world market today. Artifacts include pre-Columbian ceramics and ritual objects; European silver and porcelain chocolate services; nineteenth- and twentieth-century cocoa tins, advertising and packaging; antique and contemporary candy molds; and botanical specimens and agricultural tools. Originated by The Field Museum in Chicago, this blockbuster exhibit has been seen by more than 1.6 million people in museums across the United States. “Chocolate” is a bilingual exhibit; all text is in Spanish and English. I am with you. I was really annoyed when I received word of the exhibit. There is so much to explore of MN’s history – how about a great exhibit on Sugar Beets and sugar production in MN? there are a LOT of good stories to tell there and a lot to uncover – including farming and migrant worker practices past and present. You nailed it. You quietly expressed the outrage many of us have felt. I hope the new director is a true historian of Minnesota. I agree with your comments regarding entertainment for its own sake. However, I see no reason that the Society should limit itself to teaching only the history of Minnesota. 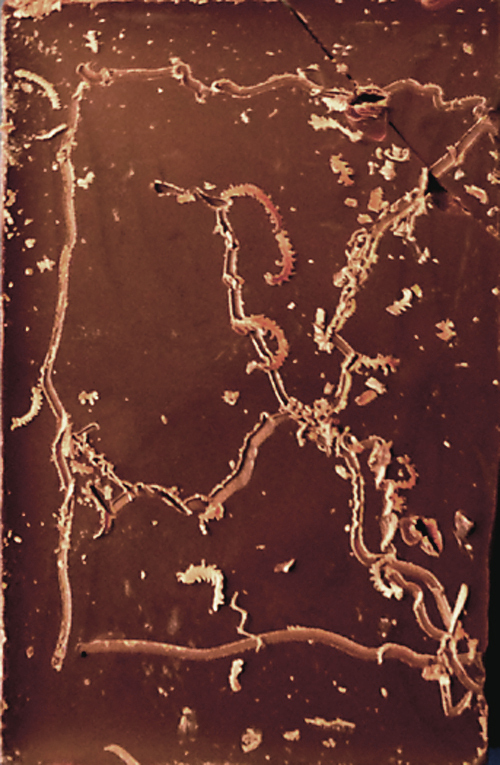 If it takes a story about chocolate to inspire a new generation of historians, so be it. And, this one exhibit is not holding back any of the other great work that the Historical Society does. They’ve been around for over 150 years. It’s ok to branch out a little, for goodness sake! There’s truth to this, but I think the issue is not so much that “Chocolate” is ‘holding back any of the other great work’ as it is invalidating the importance of exhibits that speak specifically to Minnesota’s history. It’s necessary to situate Minnesota’s history in a larger context, yes. But let’s also remember that the Historical Society maintains a delicate balance between telling the history of Minnesota and the history of the surrounding world. Given the nature of the Historical Society, if the balance were to tip any way, should it not be tipping in the direction of Minnesota’s history? The Historical Society benefits from its dedication to the history of Minnesota and its subsequent resources; lack of knowledge surrounding the events of 1862 is not the problem. If one branch of the Historical Society is unwell, and I’d argue that it is, should the Historical Society not seek to mend it? Surely an event so close to Minnesota’s personal history trumps “Chocolate,” as blockbusting as it may be. Thanks for expressing this opinion, Bruce. We visited the past Vatican exhibit at MHS, with out of town visitors. We left, dumbfounded that there was no attempt at making a connection between the history of Catholic Europe and Minnesota. Those long lines needed explanatory posters along them, explaining what was the Vatican, what was Catholicism, when was the Reformation and what that was about, what is the Vatican, and what is the relationship between the Papacy and Minnesota Roman Catholics past and present. Hmong and Lutherans and Am. Indians and the uneducated were unable to connect their own family histories and school experiences to the exhibit unless they had a lot of outside information not included there. This would have been a fabulous moment to help us all understand the dimensions and implications of the Roman Catholic history in Minnesota–voting blocks, French exploration, fur trade links to Catholicism, immigrants with Catholic roots, small town dynamics, demographics, and relationships to Canada and France. Have things changed, or is it still a fact that if you go to the Alex. Ramsey House and ask questions about Alex. Ramsey’s life here in the 1850s, you are told that there’s no one on staff who can answer them, but here, have a cookie and let’s talk about servants? My point is that the traveling exhibits are, like commercials on Public Television, perhaps an inevitable consequence of scrounging for funding for a modern nonprofit institution. But there must be an “eyes on the prize” vision which synchs with an institution’s history and mission, or an institution flounders. If “Chocolate” were only one example after 150 years this comment might be right on. But this is only the latest example of an increasing tendency on the part of the historical society to bring in so-called blockbusters as a moneymaker and as a way to get people in the door. There was “Treasures of the Vatican” and the Ben Franklin exhibit. In no way did the institution appear to feel much responsibility to connect these exhibits to Minnesota. Such connections could have happened. Linda provides some examples in the case of the Vatican exhibit. As for Ben Franklin it would have been possible to show that Ben Franklin’s talent for organizing social and governmental institutions for the good of communities inspired or at least provided examples for settlers in the Midwest during the the settlement period. But making such connections would have required a local component to the exhibit, which would have cost money and perhaps reduced the take from the blockbuster. There is another point that needs to be considered: Do these blockbuster exhibits achieve their stated purposes? Do they make money and get people to join the historical society? I’ve heard conflicting information on this point. It is something that needs to be investigated. Bruce – You and your commenters have articulated what I’ve been feeling about these blockbuster exhibits. Cable TV programs (The History Channel, Discovery Channel, etc.) cover many of these general history topics so well that I don’t feel a need to attend an exhibit on them, unless there’s a component to the exhibit that ties specifically to my local or state history. Tell me how I fit into the story; I’ll be more likely to support such exhibits. To the comment about the Alexander Ramsey House (I can’t comment on the chocolate or Catholic exhibits since I haven’t seen them). I was impressed by the interpretation provided on the Christmas tour. In particular, the interpretation of the kitchen was really good: who worked in the kitchen, how the work was done, how things worked, etc. They covered the domestic life really well, even with a presumably tight tour schedule. My 9 year old seemed engaged throughout the tour and the kitchen was his favorite part. I thought the interpretive staff accomplished their mission: interpreting a slice of Minnesota history. Wayne, I am glad that you enjoyed the tour of the Ramsey House. Young families and school children are among the MHS “target audiences.” Nina would say my dues money was well spent here. Was it a tour of a Minnesota politician’s house or a house of an upper class Victorian? How different would the tour have been if you had visited any other wealthy person’s mansion of the time? Haven’t taken the tour for a while. I recall that the most fascinating thing to me was the raw sewage piped out of the house. Gave me a whole new view of the rich. The Vatican and chocolate exhibitions are examples that stretch the limits of the definition the the Minnesota Historical Society’s mission. I think less so with Benjamin Franklin, since American history is at the center of and contiguous with our Minnesota history. Still, I take Bruce’s point that a greater connection could have been shown and a context established that enforced Franklin’s influence on everyday Minnesotans and their civic life. The big question that Bruce raises and needs to be answered is: Do they make money and get people to join the historical society? “Chocolate” is the worst museum exhibit I have ever seen. As others have noted, it seemed to have nothing to do with the mission of the museum that hosted it, and that made it seem out of place. But it also suffered from a “textbook on the wall approach,” with too few artifacts. I confess that I walked through the gallery almost without stopping. A dark chapter in the annals of MHS, indeed. If you want to see the local component of the chocolate exhibit, stop in the museum shop. There’s an amazing array of local chocolate for sale. Lite on interpretation, but . . . mmmm. I think Bruce is spot on in this issue. I, too, wonder what the cost of the traveling shows are and whether or not they make a difference to membership numbers. More to the point, though, MHS has a HUGE catalog of artifacts in the basement that relate to history right here (wherever you are in MN). As much as I enjoyed the Franklin exhibit, well, actually I enjoyed looking at the original printed and written documents and that was my focus, MHS could provide just a cool an exhibit with written records and other artifacts that explain MN history in an interesting and entertaining way. BTW, the Franklin exhibit never mentioned his role in ensuring Isle Royale was part of the United States and not Canada, seems sort of important for this area. As important a part of the school curriculum as MN history is, whether fur trade, Indian cultures, the development of settlement, etc. MHS just doesn’t have anything near what is possible with the material they own. And people are really longing to hear/see this. I’ve done a number of presentations on Minneapolis development as it relates to the brickyards in north Minneapolis (my grandfather ended up owning one around the turn of the 19th/20th centuries) and the audience is always amazed that such activity was going on. Artifacts galore. MHS has fur trade items that haven’t seen the “light of day” since . . . And that’s just a part of the basement collection. I won’t even start on the lack of interest in the Zebulon Pike bicentennial or other anniversaries that ought to be observed (did someone say 1862?). I guess it’s controversial that there are a few skeletons in our collective closets . . . Maybe taking them out and brushing them off would allow us to understand our common humanity and humane-ness or lack thereof.